"Jullander flee from ugly rock and cheerless postrock. On their run, they find old jazz and new electronics. Richly ornamented and simple at the same time, ten songs line up in unexpected easiness and sometimes touching beauty. On Interiors, Jullander speak of movies that they like and of those that haven't been made yet. In any case, cameras are lurking everywhere. 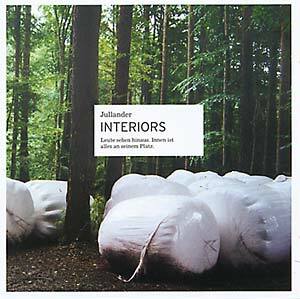 Interiors is Jullander's second album. Their previous recordings have been licensed for England, Croatia and Japan. They have played shows in Germany, Benelux and England with bands such as Low, Billy Mahonie and June Of 44. This autumn, a Jullander song will be released on a single by the English label Twisted Nerve."